Musings on This, That, and the Other Thing: Welcome Guest Blogger Camy Tang! Welcome Guest Blogger Camy Tang! Hi there! Jennifer asked me to blog about the reader reaction I’ve seen from my books. To be honest, people are very accepting of the fact it’s a different American sub-culture, Asian American. I think that part of the reason is that people want to know more about the Asian American culture. It’s different and a little mysterious to people who don’t know many Asians in their everyday lives. Another reason is that people who have read the book recognize their own family culture in the foibles of the Sakai family. Even though the characters are Asian, they have the same type of exasperating family dynamics as, say, an Italian American family, or a German American family, or a Russian American family. I’ve said it before, but it bears repeating: No matter what your ethnicity, families are all alike. Including the ones that make you want to run away to a third world country and never be found again. I also have to say that I didn’t base Grandma Sakai off of any real family members. In fact, I really try hard not to base my characters off of family members, because I think that’s just rude. The other day, my mom said she’d read Single Sashimi and she could see a little of herself in Venus’s mother. I hope I was emphatic enough that she can get rid of the notion she is anything even remotely like Venus’s crazy mother. Thanks for letting me guest blog, Jennifer! And thank you, Camy, for spending some time with us. It’s always fun to hear from you! May God continue to bless you in your writing journey! Camy Tang writes romance with a kick of wasabi. She used to be a biologist, but now she is a staff worker for her church youth group and leads a worship team for Sunday service. She also runs the Story Sensei fiction critique service. On her blog, she gives away Christian novels every Monday and Thursday, and she ponders frivolous things like dumb dogs (namely, hers), coffee-geek husbands (no resemblance to her own...), the writing journey, Asiana, and anything else that comes to mind. I’ve read all three of Camy’s book and have thoroughly enjoyed each one. Single Sashimi was particularly fun, though. From the first page, Camy grabbed me and pulled me into this story of compulsively clean Venus, who’s neat life creating virtual worlds starts to unravel. As always, Camy seamlessly weaves in a strong spiritual thread that never comes off as preachy, but leaves you completely satisfied. Do yourself a favor and pick up Single Sashimi. And if you haven’t already, pick up the first two books in the Sushi Series. Your funny bone will thank you! WIN FREE STUFF FROM CAMY! Visit Camy’s website at http://www.camytang.com/ for a huge website contest going on right now. 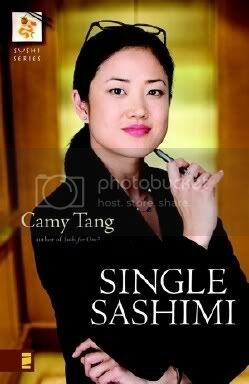 She’s giving away ten boxes of books and 30 copies of her latest release, SINGLE SASHIMI. She’s also giving away books in her monthly newsletter contest. Good luck! Thanks so much, Jennifer! 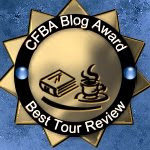 I really appreciate the review and the chance to guest blog! It was great having you, Camy. Stop by anytime! I'm a Christian gal, living in a unique city, writing fiction, and observing pop culture. Thanks for sharing some time with me. If you would like to receive our free Abingdon fiction newsletter please type your email address below and click the submit button.